I shared this meditation during Ash Wednesday worship at United Methodist Communications today. 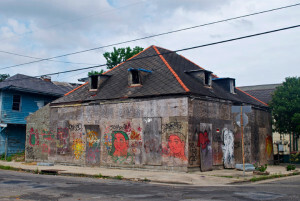 One day, not far from her home in New Orleans, artist Candy Chang noticed a large abandoned building. She put a bucket of chalk near the wall. 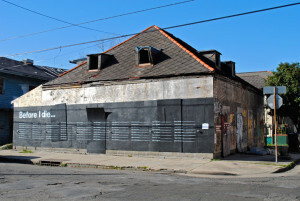 In her TED Talk, Chang reads some other things people wrote on the wall. Before I die, I want to straddle the International Date Line. Before I die, I want to sing for millions. Before I die, I want to plant a tree. Before I die, I want to hold her one more time. 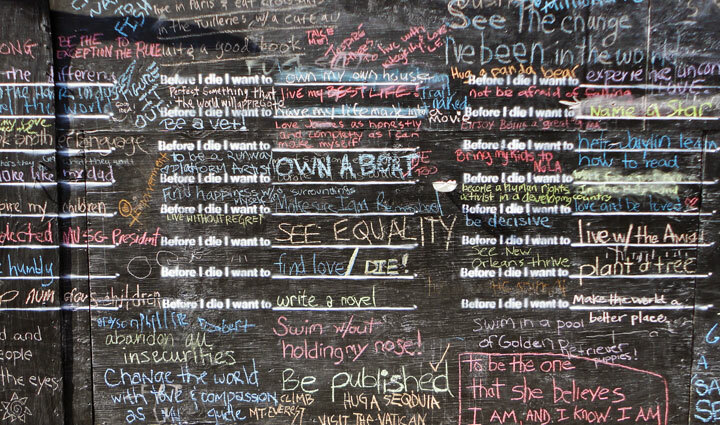 Before I die, I want to be completely myself. When Chang posted a few photos of the wall online, she was surprised how quickly the idea spread. 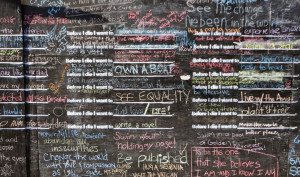 “My inbox blew up with messages from people around the world who wanted to make a wall with their community.” Today there are more than 1,000 “Before I die…” walls in cities all over the world. Asked about their death, people talked about life, real life, exciting things they would like to do with their lives. People focused on things that really matter. In the interview Raz asks Chang what she has learned about death. “I think that contemplating it can lead to a lot of great things,” she says. What a great image for our worship this Ash Wednesday. Contemplating death can lead to a lot of great things. Jesus taught this to his disciples as he contemplated his own death. Preparing his disciples for his glorification, Jesus says, “Unless a grain of wheat falls into the earth and dies, it can only be a single seed. But if it dies, it bears much fruit” (John 12:24 CEB). Life, real life, abundant life, comes when we are willing to die to self. In a lot of ways, that is exactly what Ash Wednesday and this season of Lent are all about. A time to restore perspective and remember the things that make life meaningful. And so we fast. We give up chocolate or Starbucks or soda, not just to do it. Not to prove anything to anyone or to impress God. We give it up to remind ourselves that those things don’t really matter. Our life in Christ does. We worship on Ash Wednesday reflecting on our sin, asking forgiveness, and seeking to live a new life free from it. We don’t do this for a front row ticket to heaven, but because we know we have short-changed life by living our own way rather than God’s. We come into this place to receive the ashes with the words, “Remember that you are dust, and to dust you shall return.” We remind ourselves of our mortality, not to be morbid, but to remember to live for God now, because our life is a precious gift that we should live to the full. Like Candy Chang, we struggle in daily life to maintain a perspective on what gives our lives meaning. “It’s easy to get caught up in the day-to-day and forget what really matters to you.” Lent invites us to remember what gives our lives life. In a few moments, you will be invited to observe a holy Lent in whatever way that works for you. How will you restore perspective and remember the gifts you’ve received from the Lord Jesus Christ that make life full and meaningful? Then maybe you’ll be ready to truly live. Feel free to leave your answer in the comments below.